This essay originally appeared in North Of Everything: English Canadian Cinema Since 1980, ed. Jerry White (Edmonton: University of Alberta Press, 2002), and is published here thanks to the kind of permission of the editor. On a snowy night, when Loretta Todd was six or seven years old, she found herself alone in a motel room. Her mother had taken her and her sisters away from home during a family crisis, and then left to deal with the situation. Loretta’s older sisters soon left as well. With her younger sisters asleep, Loretta turned to the television for solace. F.W. Murnau’s horror classic Nosferatu was just beginning. That childhood incident illuminates some important aspects of Todd’s career. As a young girl, she already had begun to understand the complex relationship between images, emotion, and craft, a relationship that would deeply inform her films. Like the girl in the hotel room, she refuses to indulge in self-pity or victimhood, instead drawing power from the resilience and creativity of individuals. And the recognition that occurred to the young Todd that snowy night—that cinema’s magic arises from shadows and reflections—continues to shape her thoughtfully constructed films and essays. A storyteller, imagemaker, activist, and theorist, Todd has created a rich, reflective, and uncompromising body of work. From her early experimental videos and installations through her groundbreaking documentaries of the 1990s to her feature-film-in-progress, she has demonstrated a clear and conscientious voice. Her films, videos, and essays offer a corrective to damaging stereotypes of Native peoples and cultures; and through her innovative, fluid mix of the ‘dramatic’ and the ‘factual’, her work points toward a less-rigid filmmaking aesthetic. Although she has been making films for less than 15 years, Todd has already left a notable mark on Canadian cinema. Todd won’t disclose the date of her birth, saying only that she is “younger than Madonna and older than Janet Jackson.” The child of George and Judy Todd, Loretta was born in Edmonton (Alberta, Canada). Her father, a member of the Cree and Métis nations, left his community in northern Alberta and travelled from job to job, working on oil rigs, in road construction, and as a trapper. He and Judy raised their eight children in Edmonton and northern Alberta. Loretta was the fourth of George and Judy’s children. Although her family struggled with poverty and George’s alcoholism, Todd remembers her childhood as being filled with storytelling and art. Her father would sometimes come home and tell her stories, drawing horses on the walls for illustration. Family gatherings were filled with aunts and uncles (George had 16 brothers and sisters) who would dance and share stories. Judy had a lovely singing voice, and there were always beautiful objects—beadwork, paintings, embroidery—around the house. Even though it wasn’t articulated—no one said, this is art, this is beauty—I remember being surrounded by beautiful things. The Native community, even though it was fractured, seemed to have an aesthetic sense. Everything was precise—not prissy or confined—but everything had a flair. Everything was funky—you forget that they were hip people, despite their financial constraints. The tea cozies had embroidery, everything was adorned. Beauty was always important and always there, despite the poverty. Being in what she describes as a “rush to grow up faster,” Todd left home at the age of 12, after finishing seventh grade. Holding down a series of jobs, from waitress to bakery employee to construction worker, she grew up quickly. Pregnant while still in her early teens, Todd was soon supporting herself and an infant daughter, Kamala, while other girls her age were learning to navigate high school. Todd managed to remain self-sufficient through these difficult years and by 18 qualified for community college, where she discovered a gift for writing. She also began experimenting with video, turning in video essays for some of her assignments. One essay explored the works of painter and poet William Blake; another used photographs from magazines to imagine a world unspoiled by European invaders. By the time she finished school, she had gained significant videomaking skills. Finding employment with the federal government and Native organizations, Todd supervised intervention programs, aiding Native youth in coping with drug and alcohol addiction, and helped develop and implement business projects on various reserves. She also oversaw pre-employment programs helping Native women to find jobs. At times, she used video as a tool in these jobs as well. Thus, even as an administrator, Todd’s passion for storytelling, and not just as a means of entertainment or instruction, was central to her career. If I had asked my grandparents why we tell stories, they would have laughed at me and then told me another story. But I ask that question to myself, and wonder what my grandparents might have said. Why do we tell stories? Those stories may be all you can leave—you live on through your stories. And those who don’t treat the people and the land well, who lie or cheat or harm people—no one wants to tell stories about those people. They are forgotten. They may have said storytelling is a way to bring the mythical and real together, a place where they can live together. They may have told me that information just lives in the instant, but the story goes on forever. At the same time as Todd was creating her school projects—usually experiments in style, film language, and form—she continued to make videos for various Native organizations, often on minimal budgets. Those early videos include some of the elements used in her later work: impressionistic footage, dramatic recreations, interviews. The mix, which was then somewhat revolutionary, arose partly out of necessity and partly from political reasons, as in her video Halfway House (1986), about a centre for Native convicts released from prison. Rather than just do a straightforward portrait of the halfway house and what it does, I added some drama—a guy gets off the bus, coming out from prison, and goes to the halfway house. Part of this was practical. There were a lot of issues of confidentiality—everyone there was a parolee, and none of them could be filmed. So I cast it with friends. But I was already tired of the documentary style. I had written an article for the Video Out newsletter about what I called media missionaries, who would come into the Native communities and bring their gospel of the documentary. It was something I was uncomfortable with. Having grown up with documentaries from the Film Board, I knew how racist these films could be. When I was in school with white kids in the city, they would laugh and snicker at the documentary films about Native communities. So the standard documentary form always had a weight to it. I was good at the theory, if only because I grew up learning to see the meaning and subtext in things. When you are oppressed, I think you become more conscious and aware of subtext, that things aren’t always as they appear. Todd’s student work was thus steeped in an activist agenda. While most of the other students were making what she called “art for art’s sake,” Todd was beginning to learn to use the camera to challenge the conventions of ethnographic filmmaking and to reveal some of the social inequities she had experienced. As one of the few students of colour in her class, and the only First Nations student, Todd experimented with an aesthetic that would reflect her political awareness. By then, I was certainly conscious of the ways Native people had been depicted. With the 1960s and 1970s Canadian documentary I had grown up with, there was a lot of stationary camera work, and as a Native person, I felt that the camera was peering in at us—that the films offered a space that allowed people to laugh at us. You have to remember that when you grow up Native, you grow up with constant inspection—checking your hair for lice, welfare workers looking in on you, the dentist yanking your teeth out. It feels like you are constantly peered at, interrogated, under surveillance. I was conscious of wanting to deconstruct that, and camera movements were a way to do that. For some reason, the moving camera allowed me to have a stronger sense of my own point of view. Inspired in part by the films of Bernardo Bertolucci, Todd’s student works explored what she called “the space between the screen and the audience.” Using installation techniques, some of them quite ingenious for the era, Todd began examining some heady political issues. Her work Breaking Camp (1989) included three monitors, each placed on a travois and playing a scene from Cheyenne Autumn (1964), John Ford’s Western about the Trail of Tears, the brutal forced migration of the Cheyenne from their homelands. The scenes showed a Native woman taking down her teepee, readying to move, looped endlessly. Breaking Camp explores issues of displacement, Hollywood’s uses of Native tragedy, and movement and mobility. The installation was to simulate one of those skid-row hotels my dad used to live in when his alcoholism was at its worst. I was imagining what it would have been like for him. So I wanted to have the neon blinking through this window frame, with one of the beat-up metal frame old beds—to try and imagine his space inside the hotel. The installation was never fully actualized, but The Storyteller in the City (1989) was. This installation used footage of a storyteller (played by Len George, son of Chief Dan George) telling tales to Native urban youth. They are gathered, in Vancouver’s downtown, around a fire that burns in an oil barrel. The tale is intercut with footage, shot in a studio, of Native teens telling stories they had heard as children. Monitors with looped portions of the footage were then installed on top of the oil barrels. Perhaps Todd’s most ambitious installation was set at the Museum of Anthropology at the University of British Columbia. She projected images on the pillars of the museum and, using a handmade dolly, took a long tracking shot around the museum. As the camera moved around the buildings, the pillars came alive with images of land and sky. It was Todd’s attempt to “liberate” the museum (which she says has a “dead feeling”) and its extensive collection of sacred Native objects. The critique of contemporary museum practice would continue in Todd’s later works. By the time Todd finished school, she had become conscious of various constraints she felt as an artist. One was what she called her “strong sense of duty to [her] community.” As she turned to more ambitious projects, she also began looking to her own experiences for material. I thought of myself as being a means to give voice to the Native community. Because I was from somewhere else, was Cree and Métis from Alberta, and now living on the West Coast, I was conscious of being in someone else’s territory, and in someone else’s culture. I think my filmmaking allowed me to really respect that—the camera helped me negotiate the relationship between myself, this other territory, and these other Native cultures. But I think that sense of responsibility also made me less able to let go. I felt I had to be saying something for other people. When you are so concerned with giving voice to others, you wonder, where does my voice ?t in? As I grew, I began to recognize my internal voice, my intimate voice, my personal voice. And I began to give myself the permission and freedom to be an artist. I don’t always have to speak for my people. By speaking for myself, I’m engaging in an act of transformation and liberation. That’s what I began bringing to my films. Her first narrative film, the unfinished My Dad’s DTs, was intensely personal. Told through a narrator and impressionistic imagery, the film is a visual poem about shame, guilt, and loss. Todd shot the film in northern Alberta, near her childhood home, on a deserted prairie road using an old bus. The images—the film is shot on 16-mm black and white—are the central narrative mechanism; Todd uses only sparse dialogue. This was an effort for me to resolve the grief I’ve carried about my father for a long time. My father loved the land, and if he had been able to live on the land, I wonder if things may have been different. My father had in some ways worked against the land—in oil fields, in road construction. But I think he wanted to restore us to the land, and he felt that he had failed. A sense of light has always informed my relationship to the image. I can’t say I lived in the traplines and the bush, but I grew up close enough that I spent a lot of time under that [prairie] sun, in the winter and the summer, and under the moon. I spent a lot of time studying the way the land was lit. I looked at the shadows, and the spaces the light created. It’s much different from the way people learn to see in the city. I also spent time growing up on the hard, gritty streets of the cities, and that also informs my aesthetics—the loneliness of it. I think in the city you are divorced from relationships. But in the Native way, life is all about relationships—we say “all of our relations.” That’s the challenge for Native youth—is it possible for them to understand that? Todd edited the film on video and screened it in rough cut, but, unable to fund the printing of a 16-mm copy, never completed it. Her next project, the script Day Glo Warrior (1990), was produced by Omni Films for the Canadian Broadcasting Corporation (CBC). The script explores some fascinating issues: the commodification of Native cultures and ways in which Native people are sometimes party to the exploitation. Day Glo Warrior follows the struggles of a Native wrestler and single father. The (ab)use of Native symbolism that has made the wrestler a success in his professional circles has left him an object of disdain in his community. Todd hoped to direct the teleplay, but the script was given to another director and broadcast, in a version starring Gary Farmer, in CBC’s anthology series Inside Stories. Todd also created several videos during this period. Chronicles of Pride (1990), commissioned by the United Native Nations Knowledge Network, explores the impact of role models in the Native community. Eagle Run (1990), commissioned by the Department of Physical Education and Recreation and the First Nations House of Learning, explores the cultural importance of traditional Native athletics. Taking Care of Our Own (1991), commissioned by the Professional Native Women Association, uses a combination of drama and interviews to promote the foster parenting of Native children by Native families. With The Learning Path (1991), Todd applied the aesthetic developed in her experimental and dramatic work to non-fiction filmmaking. For the hour-long documentary, she created an innovative hybrid that reflected her political and artistic intentions. 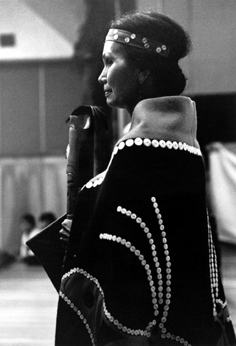 The film was commissioned as part of the series entitled As Long as the Rivers Flow, produced by the National Film Board (NFB) and Tamarack Productions. Each of the four films was to be created by a different director, and the film that became The Learning Path was initially assigned to Alanis Obomsawin, the groundbreaking Abenaki activist and filmmaker. When Obomsawin left the project to focus on her film Kanehsatake: 270 Years of Resistance (1993), Todd was asked to step in and turn around a film for broadcast in less than six months. Alanis had been everyone’s hero—she had been making films for a long time, and telling very sensitive stories, and obviously was very accomplished. And the others in the series were also accomplished filmmakers. I hadn’t done a major film, just some low-budget videos, and I was a woman, and was younger than all of them. All of those things could have been daunting, but I didn’t have time to think about it. I just had to make the film. Knowing that the producers chose her in part based on the footage from My Dad’s DTs, Todd confidently departed from the conventions of documentary filmmaking. The Learning Path weaves together the personal stories of women who had survived Canada’s often brutal residential schools with tales of educational reform and healing. The film is remarkable in its ability to recount stories of abuse, oppression, and systemic racism, perpetrated against children, while constructing a narrative about recovery. The subjects of the film include women who survived the residential schools and are today helping to recover the Native languages they once had been forbidden to speak. I asked the women, what kind of film do you want to make? They said, we want a hopeful film, about the strength of Native women. They were tired of the victim films. And so while the film was what they had been through, it was also how they had gone beyond it, had moved beyond it. They wanted to offer a message for the people who were maybe still stuck in their pain from the past, a film that spoke to hope, and to the fact that we were all on a journey. Essential to The Learning Path is Todd’s use of recreations and dramatic elements. Todd inserted numerous poetic scenes into the work—including some ethereal shots of an empty boarding school—hoping these elements would transcend the stories of suffering that she feared were too powerful for audiences to digest. And as heartfelt as those stories are and as painful as the experiences are, they never go anywhere. I wanted to open up the viewers’ minds and hearts, and I think that poetry and lyricism and art have a way of affecting the way people experience things. I wanted them to see these stories in ways they hadn’t seen them before, experience them in ways they hadn’t experienced them before. Todd was also conscious of the ways in which the conventions of documentary film had helped marginalize the experiences of First Nations communities. In some way, The Learning Path reacts against the history of ethnographic films, the kind that left Todd’s classmates snickering at Native people. In one scene in The Learning Path, a woman returns to the residential school she had survived as a child. Recounting her painful story, she begins to cry. Todd remembers her cameraman moving in for a close-up—the standard reaction to such a situation. She instead pulled him back, asking him to move away from the woman, giving her space to mourn. It was both a respectful and inspired choice: Todd inserted some of the dramatic elements she had created into the scene, as the woman continued to tell her story. The result was a moving and poetic sequence. As a viewer, you are torn between feeling like you should witness this woman’s pain and like you are invading her space. But I made the choice for them. 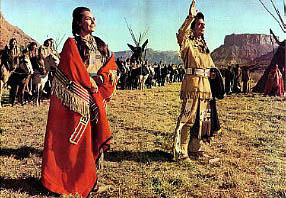 Of course, I was conscious of the history of films that said, here is Native people’s pain, being delivered up again. Here we are crying again. And as I said, I think non-Native people can shut down, or they can become vultures or cannibals of our pain. On a personal level, I’m very conscious of having been stared at—looked at but not seen. I’m trying to disrupt that, to say, you cannot own our pain. I’m saying, we won’t just trot our pain out when we want to score points. You can’t trot our pain out when you want to assuage your guilt … It was an attempt to take back our emotional space—that you can’t have control over our emotional landscape any more. Among the dramatic elements Todd used in The Learning Path were eerie shots of a nun drifting through the hallways and rooms—faceless, haunting, frightening, and yet strangely beautiful. The shots were drawn from Todd’s own childhood experiences—she had spent a year in residential schools—and represented her desire both to reclaim the histories of those who had been oppressed and to identify the perpetrators. Although Todd’s political and aesthetic motivations were clear and strong, and even radical, The Learning Path is a subtle, sometimes elegiac, film. Recognized with a Silver Hugo at the Chicago International Film Festival, the New Visionary Award at the Two Rivers Native Film Festival, and a Blue Ribbon at the American Film and Video Festival, the film signalled Todd’s arrival as a major filmmaker. In The Learning Path, neither the pit of the women’s suffering nor the height of their triumphs as teachers and survivors are given false emotional weight. Instead, the film moves gently, but confidently, from one crystallized moment to the next. Todd’s childhood hardly seems idyllic: her father’s alcoholism, the institutionalized racism of the era, and frequent moves could not have made growing up easy. Nonetheless, she drew strength from her family’s ability to tell stories, both verbally and through art and music. The family started to disintegrate after the death of my grandparents—they held the family together. Then the alcohol took over, and we ended up in the city. But before all of that, at family gatherings there really was a love of music, of the word, of the sound, a love of family, of bringing people into your sphere of influence, through story. When that film was being made, there was a big debate about traditional and contemporary art, and I wanted to make a film where it was hard to distinguish between past and present. One flowing into the other, and all of it a part of a longer history. Hands of History is also fluent in its use of film technique. Todd varies the use of colour and stock for each artist, along with compositional and camera-movement strategies. For the segments on Poitras, perhaps the most unconventional of the artists, Todd mostly used the hand-held camera. For Joanne Cardinal-Schubert, Todd chose saturated colours and a fine film stock. The distance Todd kept from Rena Point Bolton, also a legendary activist who had helped rescue the then-outlawed Potlatch ceremonies, was respectful and honouring. Todd’s stylistic choices are revealing, but demonstrate great restraint. Clearly, Hands of History was intended to give tribute to four powerful artists rather than to showcase Todd’s own art. Nominated for a Genie Award, Forgotten Warriors follows the stories of several Canadian veterans who enlisted and fought alongside their non-Native countrymen during World War Two. Although they risked their lives to ensure the freedom of others, on returning home, these veterans were denied equal treatment. Land deals offered to non-Native soldiers were never announced to Native veterans, and in some cases, land seized during the war from tribes was not returned. Thus came the irony: Native soldiers defended what they considered their own land, only to find that while they were away, their land had been taken from them. Wars in any country have a way of infiltrating into the cultural memory and history. But even though the war was a part of Canada, what Canada saw itself as, these men had never been present in the consciousness and memory of Canada. I wanted to, if not make them larger than life, then certainly increase the scale in which they were present. I wanted to actually infiltrate the Canadian cultural memory, to try and implant us, to create images that were timeless, to almost create our own archive. The most striking attempt to rewrite history comes from the film’s dramatic elements, Todd’s most ambitious up to that point. Several scenes follow a young man’s journey from home to the war and back. The young soldier leaves his family and walks through the woods to the city; he waits at the train station; he survives the horror of modern warfare; he returns home to his girlfriend. The sailor kissing the girl in Times Square, even if it is a faked image—that’s etched in the American imagination. There are these heroic images of people coming home from the war that repeat themselves in the Canadian and American imagination. We are never in them, except in our defeat. I wanted to show us, in a sense, not as victors, but certainly as people who came home and who survived. In pop culture, in the public imagery, we are never allowed to be ordinary and sentimental. I wanted to show this handsome man being greeted by his beautiful girlfriend. I wanted us to be heroes, to let our men be heroes. The film also includes some remarkable interviews and, as with The Learning Path, a strong message about recovery. The veterans were forced to cope with both the intense psychological trauma of modern warfare and their inferior status in Canada. One soldier, who had bought a home after returning from the war, was asked to either give up his property or forfeit his affiliation with his band. Many were driven to drugs and alcohol. Decades later, the central subjects in the film had begun to come to terms with their suffering. Although Forgotten Warriors never shies away from documenting the mistreatment of the veterans, it also celebrates their strength and perseverance. Todd’s most recent work, the hour-long documentary Today Is a Good Day, is also perhaps her most straightforward. In recounting the life and influence of artist, activist, and leader Chief Dan George, Today Is a Good Day presents a skillful, seamless blend of Todd’s storytelling elements, mixing comprehensive archival footage, strong interviews, and evocative and poetic dramatic recreations. As she worked on the video, Todd was caring for her ailing mother, who was dying of cancer. Perhaps as a result, the film is especially perceptive in evoking a sense of death and loss. In one haunting sequence of dramatic footage, a tired old man shuffles through a deserted airport. Shot in black and white, the sequence effectively conveys George’s despair after losing his wife, Amy. Set against the modern landscape, the scene also seems to mourn for our loss of connection with the natural world and our traditions. These elegiac moments are offset by several surprisingly playful sequences. Todd shot Today Is a Good Day on video, and at times the bright colours are used to amusing satirical effect. One scene imagines George on stage at the Oscars, accepting an award. On screen are two pairs of feet, standing beside a podium. One pair of feet is wearing high-heeled shoes; the other, a pair of moccasins. Todd is gleefully commenting on George’s impact on Hollywood, whose historically racist representations of Native peoples was challenged by Arthur Penn’s Little Big Man (1970). (In Today Is a Good Day, Penn himself describes Hollywood’s relationship to Native America as “genocidal.”) George’s character Old Lodge Skins was considered one of the first humane and three-dimensional portrayals of a Native person in a Hollywood film, and George was nominated for an Oscar for best supporting actor. 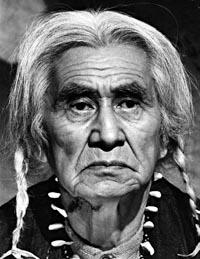 George also starred in the TV series Cariboo Country and alongside Clint Eastwood in The Outlaw Josey Wales. You can’t get a bad interview from those people. You’d have to be pretty inept to not make an interesting film about the family—they are so forthcoming and tell their stories so well. They hold the camera, they fill the frame, and I tried to play with that, and shot wide rather than tight. These are impressive, strong people and I wanted to give a sense of their space and scale. Although Today Is a Good Day may seem less overtly political than Todd’s previous films, it explores complex issues of representation. While George’s talent was clearly a major part of his groundbreaking success, Todd wonders why his equally talented son Bob has had such trouble finding screen work. I think Dan knew he was playing with some of the stereotypes. He walked the line of being the grandfatherly Indian, and there is no doubt that it was a lot easier for white America to accept a grandfatherly Indian than to accept a young powerful Indian. Bob, who was also a great actor, didn’t get roles. He was a handsome young man, a powerful young man, and that made people fearful. America was more ready for a wise old Indian than a young powerful one. Today Is a Good Day screened at numerous festivals, including the Taos Talking Picture Festival (where Todd received the Taos Mountain Award for lifetime achievement, and where I am the Artistic Director), the Sundance Film Festival, and the Vancouver Film Festival. Although her profile has risen, Todd continues to direct videos for Native advocacy groups. Her video No More Secrets (1996) uses several familiar elements—the talking circle, dramatic recreations—to help expose the problems surrounding solvent abuse in Native communities. Voice = Life (1995), commissioned by the Healing Our Spirit First Nations aids Society, challenges the preconceptions of HIV/AIDS patients (that they are to be feared, that they infect our culture, and so on). Instead, she offers portraits of people, with and without HIV, who live in a world of natural beauty and who are themselves lovely. Both films emphasize the importance of dialogue as a tool for healing. Todd’s film exploring the life of poet E. Pauline Johnson (unfinished as of this writing) included drama, recreations, and interviews. Todd left the project after creative differences with her producer. Her current project, entitled 911 Res, is a contemporary version of a Blackfoot trickster tale, featuring a rock star who finds himself on the reserve and falls in love with a beautiful woman who is already engaged to be married. The story is framed by fictional segments documenting the making of the film, which were inspired by the real-life stories of Cliff Redcrow, a police dispatcher living on the reserve. Todd also has become a thoughtful and impassioned cultural critic, having written numerous scholarly articles. In 1996, she was named a Rockefeller Fellow and spent part of the year in New York writing screenplays, giving lectures at various educational institutions, and researching the uses of multimedia in museum exhibits representing Native culture. Todd’s chapter “Aboriginal Natives in Cyberspace” in the book Immersed in Technology calls for distance from the hype surrounding new communications technologies (5). How will those seven generations from now be affected by new media? How do these technologies promote the divorce of humans from the natural world and from one another? What does the notion of cyberspace reveal about the differences between Western and Native thought? More so than her films, Todd’s words seem intended to devastate: her writing is solid, well argued, and unflinching. “Three Moments After Savage Graces” is a meditation on an exhibit of Gerald McMaster’s art at the University of British Columbia’s Museum of Anthropology. Returning to the scene of her earlier experimental film, Todd accuses “the collector, the cataloguer, the curator, the anthropologist” of deadly desire—a desire so deep and unhealthy that it can kill the art it caresses (8). But the essay also demonstrates a powerful vulnerability and honesty, as Todd reaches into her own experiences to help interpret McMaster’s work. At times my father displayed a lot of race hate—race hate toward himself—which he never identified, only internalized. When he drank, he said it was because he was Indian, but then he would act like he was a Texan. There, on the street, in a loud drunk voice, he would try to pretend he was a Texan, talking with a phony Texas accent, as if he could fool anyone. There have only been Native film and video makers for the last 20 to 25 years in Aboriginal countries … Are we storytellers, are we chroniclers, are we ethnographers? Who are we, and what is our role? … I see myself in the same way as the storyteller, except my way of telling the story is different … The storyteller, the artist, has a role to play in the health of the community. Even though there is no word for “art” and “artist” in most communities, there is a word for people who tell stories. There’s a word for people who make things and help people with their dreams. These stories, these films, are inherited by our children. The legacy that is in these films is inherited by other people, so everything I do I have to be very careful about why I do it, who I do it for, who is going to be hurt by this, who is going to gain from this. I have to think about the seven generations. I have to think about the consequences of my actions. So on the one hand, I live in this creative, imaginative world. On the other hand, I live in a world in which I am part of something, I am part of a whole, I am part of a circle. I have to make sure that I am a strong link in that circle, not a weak link in that circle (10). All unattributed quotations from Loretta Todd are from interviews conducted by the author on 31 March, 2 June, and 15 July 2000. Jason Silverman is Artistic Director of the Taos Talking Picture Festival and Director of Publications and Curatorial Assistant for the Telluride Film Festival. He has produced two films - Shameless (1993) and Olympia (1998).